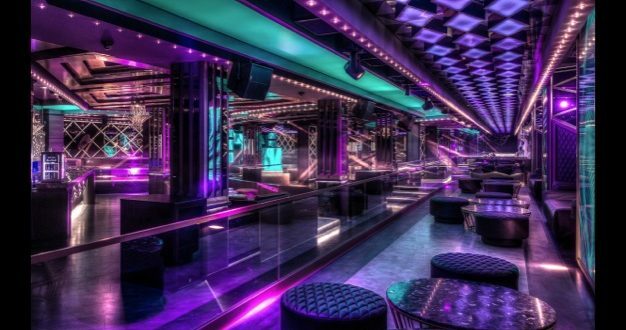 The new club Nest of Angels has opened with a bang in the Romanian city of Cluj-Napoca thanks to Martin Audio, following a major renovation of a popular clubbing site on the Strada Republicii. 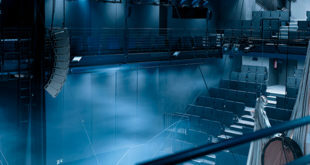 The 1,500-capacity venue’s sound system is based around the Martin Audio W8VDQ, forming the heart of a lighting infrastructure capable of delivering 65kW of sound and costing over €500,000. 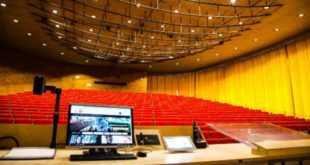 The equipment was specified by Romanian installation specialist Simo Sound, with support from Martin Audio’s Product Support Group. The 18 W8VDQ enclosures dominate the main room, combining line array and differential dispersion technologies to provide even coverage over wide angles and throw distances. The owners, Kàlmàn Jozsef, Horvàth Julieta and Kàlmàn Ladislau had already received evidence of Martin Audio’s signature sound, and following a trip to the company’s factory in High Wycombe and Ministry of Sound in London, they were convinced, describing Martin Audio as "the Aston Martin of sound." 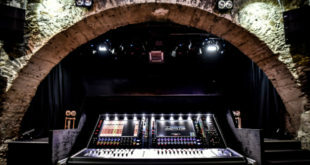 “They particularly liked the clarity and warmth of the system – it just sounded fabulous,” said Simo Sound’s Doru Gheorghe. The distributed set-up was designed to take account of the venue’s unusual layout. 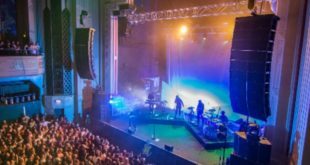 In addition to the W8VDQ, Simo Sound supplied ten WS218X floor-standing subwoofers and four ASX subs mounted under the stage. Two XD15s function as reference monitors with a pair of XD12s for infill, while the rest rooms and VIP areas are populated with eight C8.1T full-range ceiling speakers. Various Martin Audio amplifiers are assigned to drive the system, including five each of Martin Audio’s MA5.2K and MA9.5K, along with MA3.0 and MA4.8Q amplifiers; all under the control of a dedicated Merlin network management system. “I’m extremely happy with the outcome,” confirms administrator Mester Liviu.